Every Pixar film is littered with hidden goodies for their fans to find and it’s safe to say that The Good Dinosaur will not be any different. While some Easter eggs are nods to past stories, others are possible hints to future ones. Pixar films also have a few iconic Easter eggs that make appearances in several movies such as the Luxo Ball. We’ve got your more common Pixar Easter eggs and some stellar “Dinosaur eggs” you should watch out for in The Good Dinosaur coming to theaters November 25th! The Luxo Ball made its first appearance in Pixar's very first short film called Luxo Jr. in 1986. 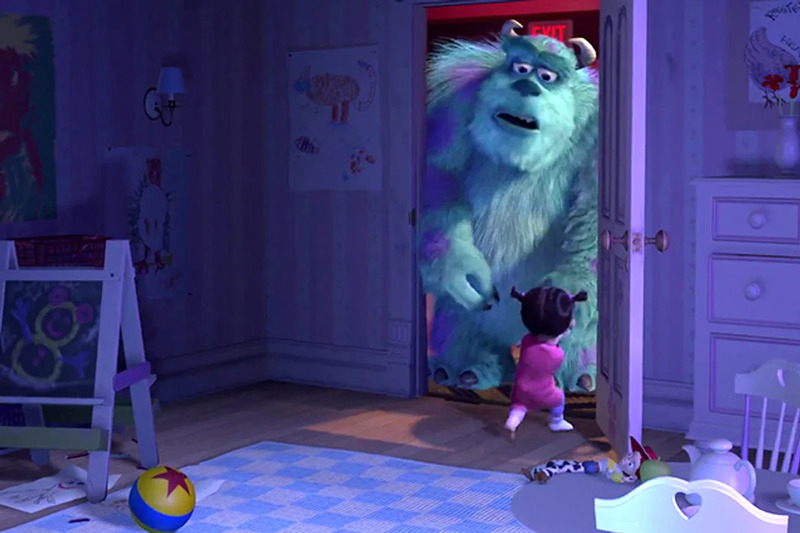 Since then it has made appearances in Andy's room in Toy Story, in a TV advertisement for Al's Toy Barn in Toy Story 2, in the dentist's waiting room in Finding Nemo, as one of Russell's merit badges in Up, in the witch's cottage in Brave, on the sewer walls during the Scare Games in Monsters University, on Boo's floor along with Jessie the Yodeling Cowgirl in Monsters Inc. (shown above), and many other Pixar films. 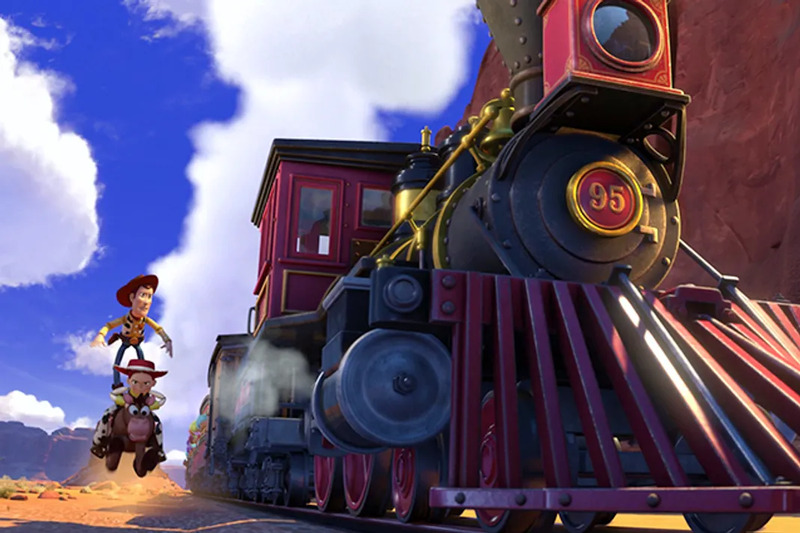 Originally from the first Toy Story, it has gone on to make cameos in every single Pixar film (with the exception of The Incredibles although it can be seen in The Incredibles video game). 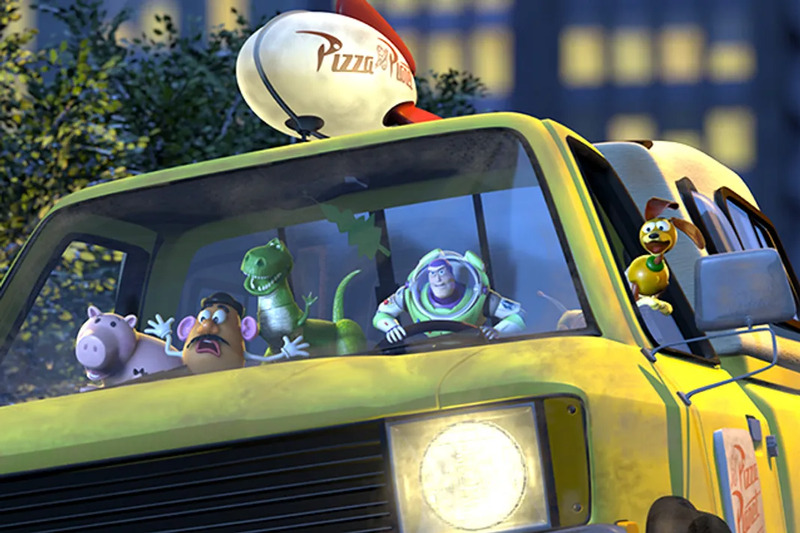 It is can also be seen in every Toy Story film, next to a trailer home in A Bug's Life during the day, next to a trailer home in Monsters Inc. during the night, zooming past when Gill explains his escape plan in Finding Nemo, with a personality in the Cars films, being scanned by EVE in WALL-E, as a wooden figurine being made by the witch in Brave, inside a memory orb in Inside Out, parked next to the house party in Monsters University, and a few others. 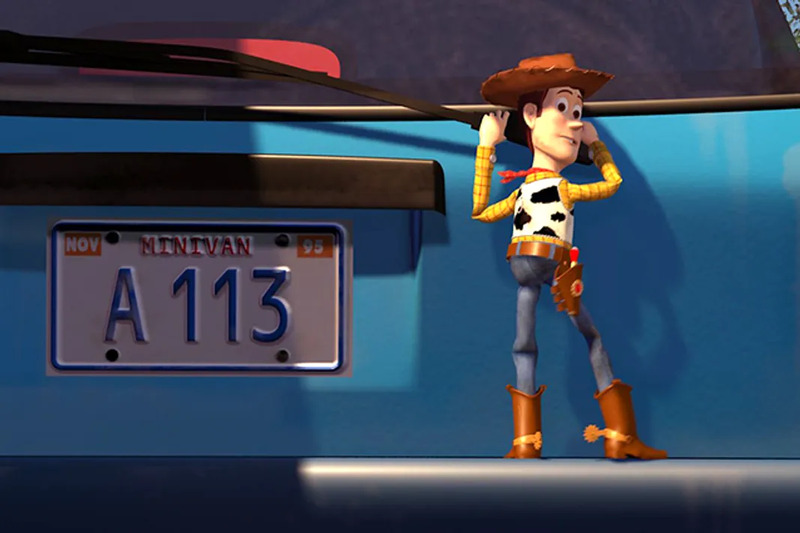 ...as a room number in Syndrome's lair in The Incredibles, as the model number for a camera used by a scuba diver in Finding Nemo, as a code on a cereal box in A Bug's Life, as Mater's license plate number in Cars and Cars 2, as the license plate number in Toy Story (shown above), and in a few other films I may have missed. 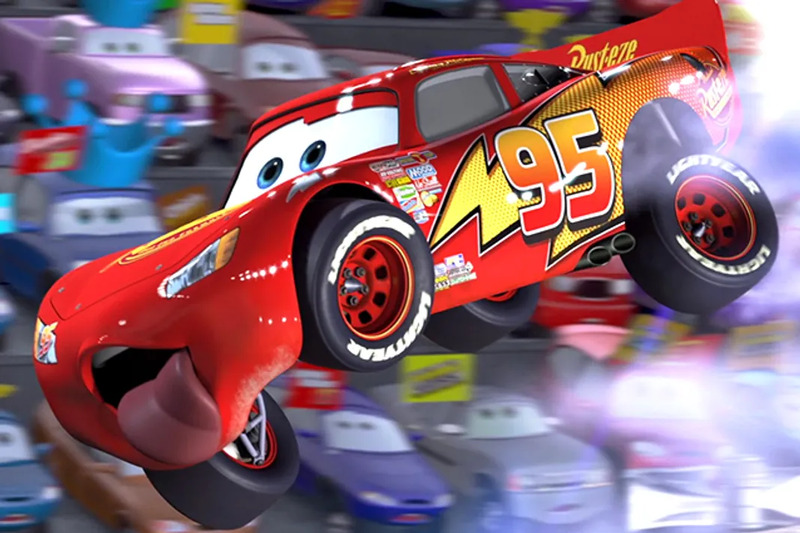 The racing number of Lightning McQueen from the Cars films is also significant as it refers to the year 1995 when the first Toy Story film was released. 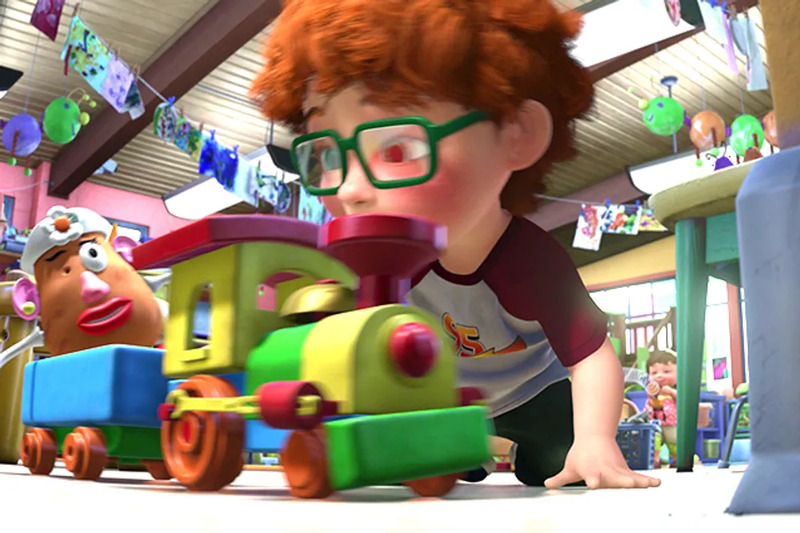 It can be seen on the train in the opening sequence of Toy Story 3 when the toys are "rescuing the orphans". And it is seen again on the shirt of a child at the Sunnyside Daycare, also in Toy Story 3, after the toys have left Andy's house in search of new children to love them. Now that we've covered some of the more common Pixar Easter eggs, let's move on to the "Dinosaur eggs." 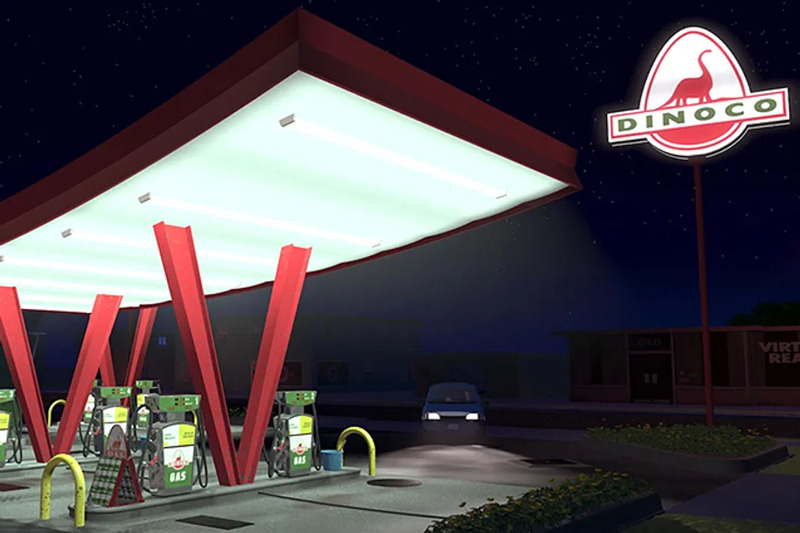 The first is the Dinoco Gas station which appears in the original Toy Story film. Here the logo for Dinoco is an Apatosaurus which is the same type of Dinosaur the protagonist Arlo is in The Good Dinosaur. Perhaps a character in the new film may share a name with the oil company? 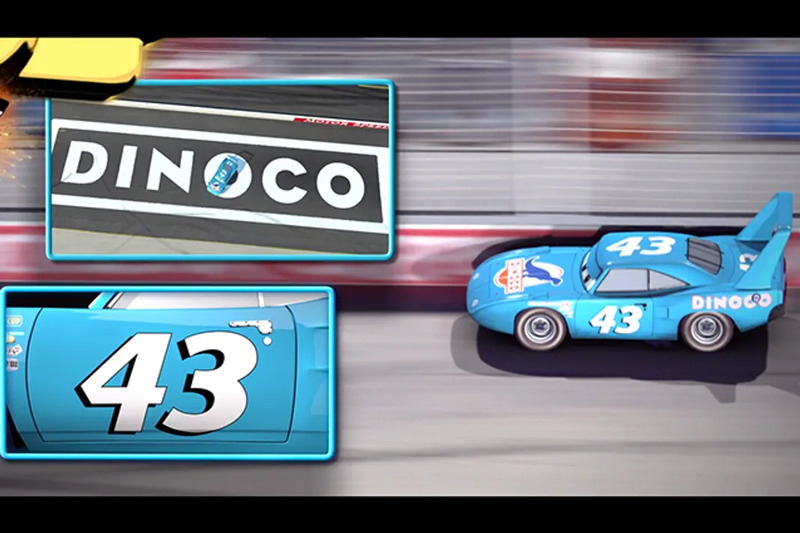 In addition, the Dinoco logo changes to a Tyrannosaurus Rex when it appears as a sponsor for the Piston Cup in Cars and also appears on a lighter in WALL-E. 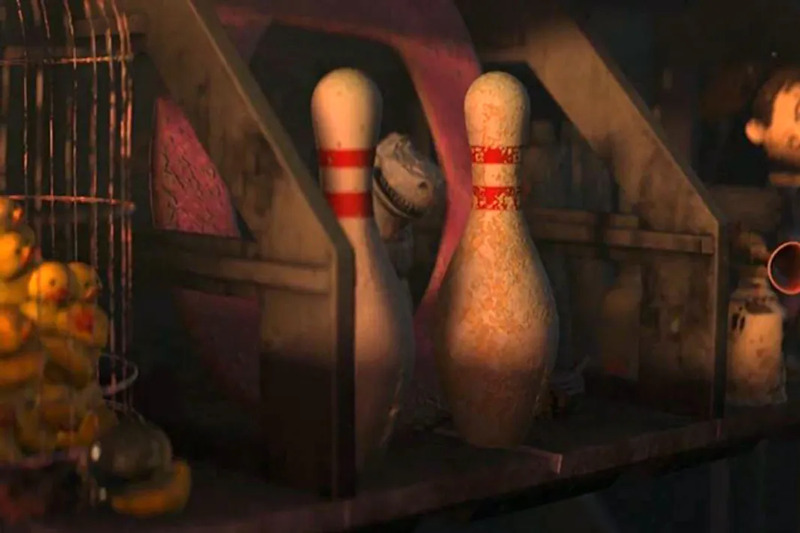 Originally from the Toy Story films, Rex is a Tyrannosaurus Rex toy that can be seen tucked behind two bowling pins in WALL-E. Trixie the Triceratops is another dinosaur toy from Toy Story 3 that could possibly make a cameo appearance in The Good Dinosaur along with Rex. 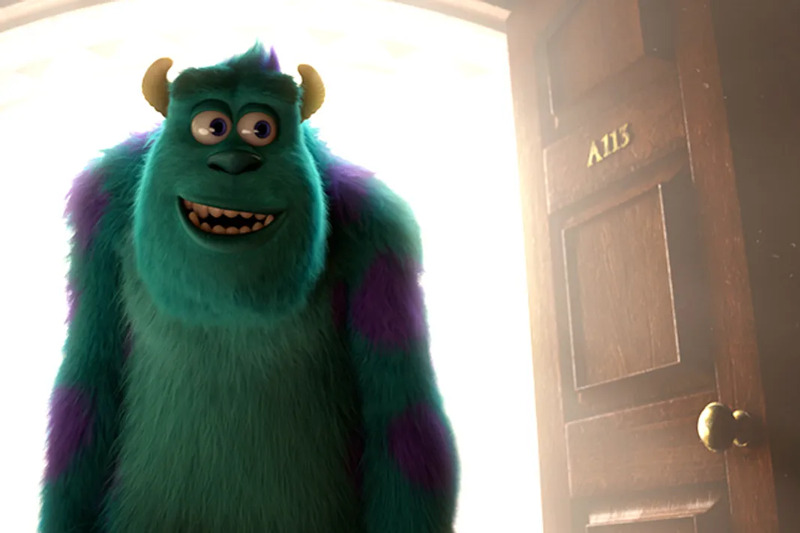 As mentioned earlier, Pixar not only likes to give a nod to past movies but also enjoys leaving clues for the next film. 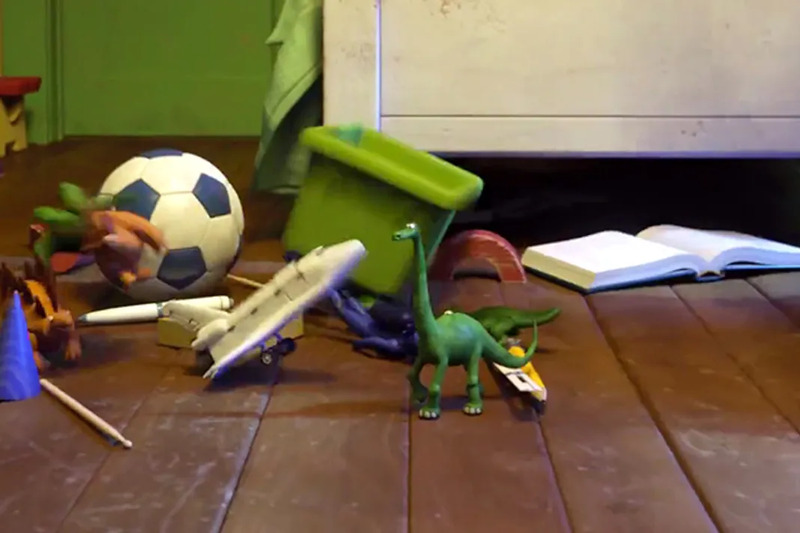 Arlo, the protagonist of The Good Dinosaur, has already made an appearance as a toy in one of the scare simulators in Monsters University. 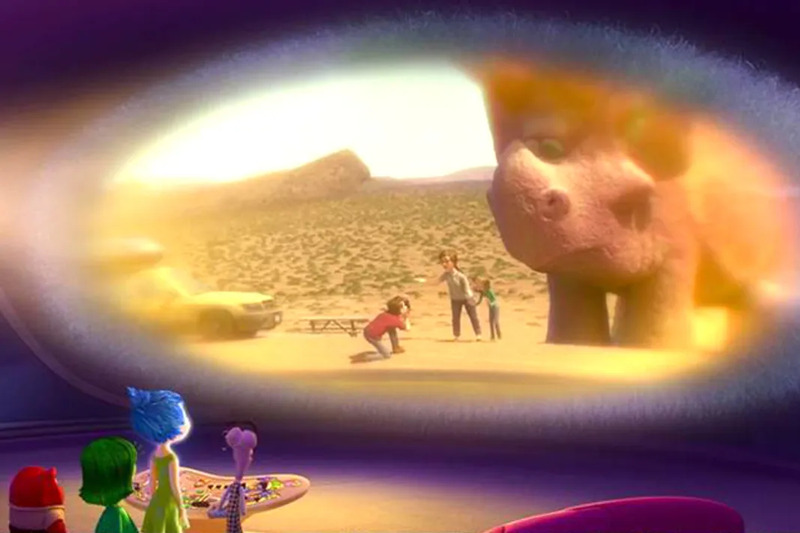 Another possible hint is when Riley and her family visited dinosaurs in a memory as well as the Dinosaur World book found near Bing Bong and the house of cards in Inside Out. 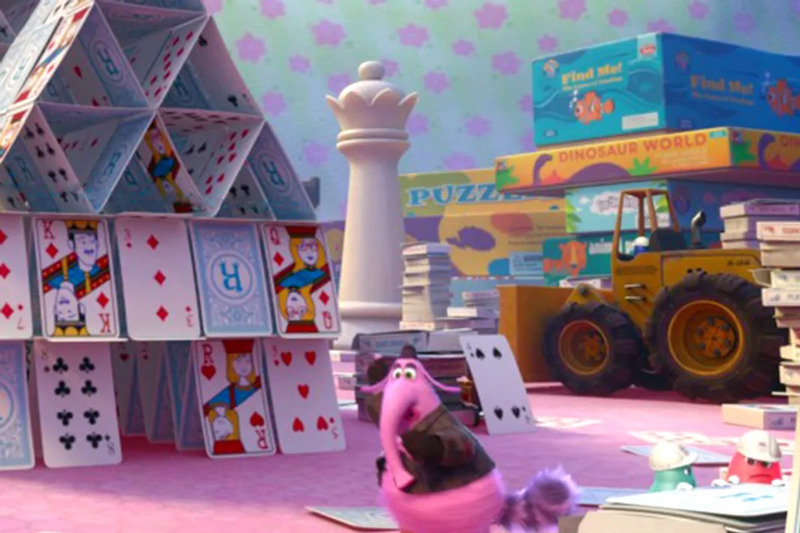 A nod to Finding Nemo can also be found atop the Dinosaur World book behind Bing Bong in Inside Out as well. Now you’re ready to spot every “Dinosaur egg” in The Good Dinosaur. Happy hunting!